There are times, especially as a blogger, when you can find yourself staring at a blank screen completely devoid of any inspiration hoping that something jumps out of you. In my case this morning it literally did when a letter in a brown envelope landed on my doorstep! The letter was a parking charge relating to our recent trip to Wales and Hereford, when our car was kept overnight on the Magor services car park. Parking was free at the hotel we stayed at and our registration plate had to be noted when we signed in at the hotel, so I knew it wasn’t a big deal and could be easily cancelled. This required sending a quick email over to the parking eye people with my hotel confirmation. Kudos to them as within 30 minutes I received an email stating they had ‘investigated’ my claim and was indeed in the right and all charges were cancelled. My little bit of excitement for the day but it got me thinking about the amount of people who are unaware they can get charged for staying too long in a services car park. Having checked the services website, it clearly states that parking is free for a maximum of two hours and is then charged at £12 for cars after that, coaches and HGV’s are slightly more expensive at £25 and confirms enforcement is via CP Plus… however, how many people actually check the website of a motorway services before they rock up there? I think I recall there being signs dotted around about parking measures, but did not take much notice as I didn’t feel the need to. I can understand the need for this measure, but what a complete waste of my time, their time and paper! When people are driving, their attention shouldn’t be focused on tiny writing featured on a tiny sign, it should be on the road and remaining safe! Maybe the management company need to check out an online store for road safety signs and add more parking charge notices to ensure people are fully aware and don’t have the nightmare of receiving a parking charge. 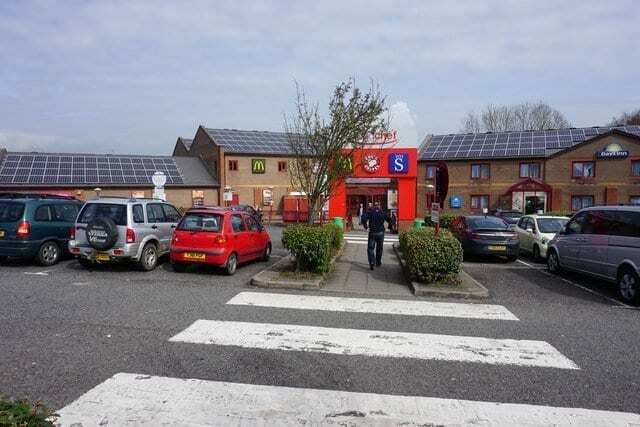 A funny fact about the Magor services is that is was rated as the worst in Britain in 2007, a decade has passed and I’m not entirely sure they have worked on that accolade! I would stay there again, however would make sure the hotel actually registered my car’s right to be there next time! How Would You Enjoy Your Retirement To The Max? Summer Staples: What’s Your Wardrobe Missing? Oooh, left hand doesn’t know what the right hand is doing! Definitely think they need more signage there! I hate services where there is no parking – Bridgewater is just as bad.